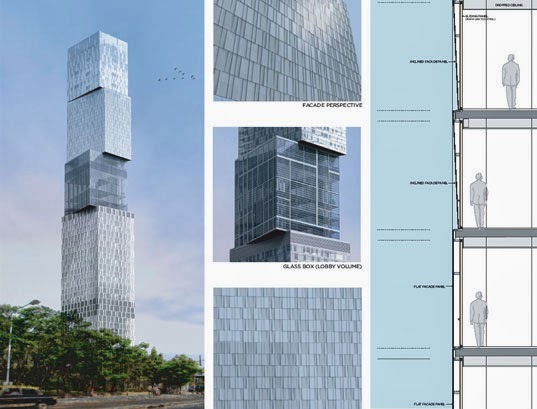 FXFowle Architects’ India Tower, to be built in South Mumbai to house a new Park Hyatt Hotel will be India's answer towards green architecture. 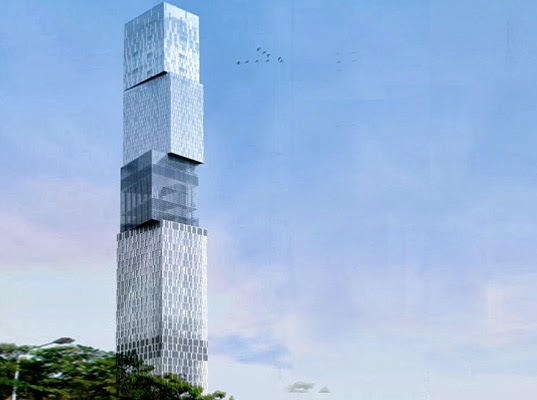 Its designers claim that India Tower will be the greenest skyscraper in the entire country with rainwater harvesting, green materials, and a possible US LEED Gold rating. Coincidentally reminisces Tianjin’s ‘Pile of Boxes’, the 60 story, 301 meter tower is divided into different modules, each slightly rotated to the next. Each module manifests a change in function of the tower namely a hotel, high rise residential units, a retail component and so on. Among its green features include shaded windows, natural ventilation, ideal site orientation, rainwater harvesting and eco-friendly building materials.